As a start-up or SME there are plenty of finance options available to support your growth besides a bank loan. Still, it’s easy to struggle to find the right finance and acquiring it can be complex. Want to know more? Call us today on 01905 677 888 or email info@business-central.co.uk and see how we can help point you in the right direction. 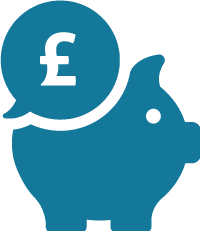 The GOV.UK My Business Support tool details all the types of finance available for businesses, but if you’d like any advice about your particular requirements you can contact our team for further information. There are many bodies that can award grants for businesses with specific developments in mind. 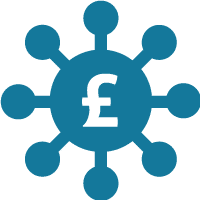 If you’d like to learn more about the different types of grants available or to find out whether your business is eligible, please visit the Grants section of this website. Some businesses may benefit from equity finance if they have the potential for growth. If you’re considering equity investment, speak to Worcestershire Business Central and we can put you in touch with the right people. Alongside these diverse forms of finance there are tax relief or business rates schemes which can help fund research and development. Call us on 01905 677 888 and we can help you to find out if you’re eligible. With 65,000 growing businesses being supported to find the best finance option to help them grow, the British Business Bank Information Hub will help your businesses understand and discover the finance options available to support your business to grow. Learn how businesses have accessed external finance to achieve their growth goals. Read the stories of businesses who have achieved their growth goals through external finance. From equity to debt and beyond – explore your finance options as a route to growth. Prepare yourself for finance with these useful guides, checklists, and infographics. Want to make things happen today?